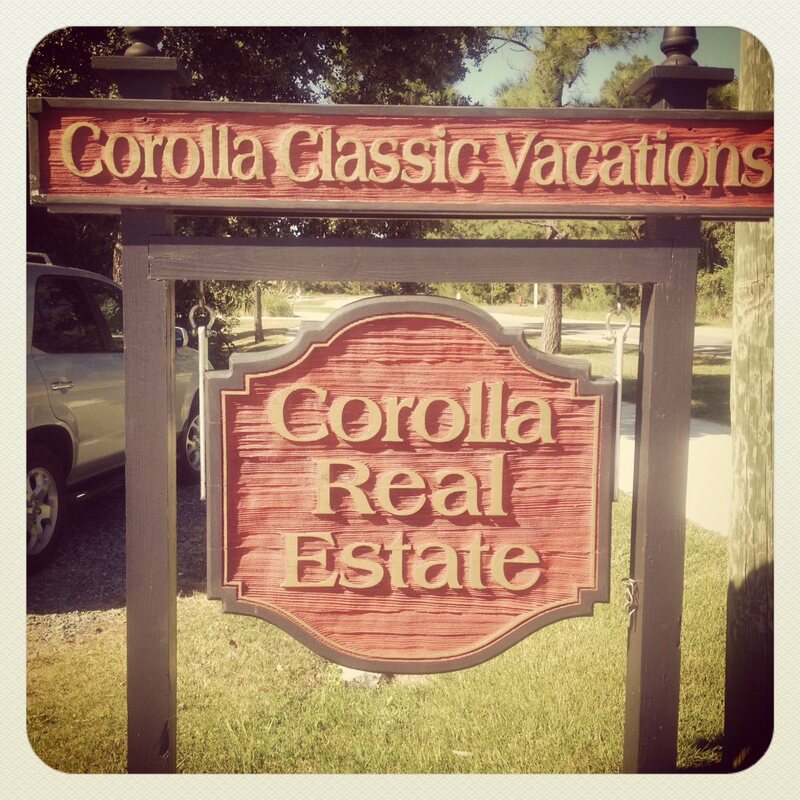 Are you planning on visiting us in Corolla, but don't know quite how to get here? Below you will find explicit directions on how to get to Corolla by car and by air, as well as directions and a map to our Corolla Classic Vacations office. If you have additional questions, please do not hestitate to contact one of our vacation specialists! Take exit #75 for I-64 East towards Williamsburg/Norfolk. Take I-64 East to exit 291-B. Immediately get into the far left lane and follow the exit for U.S. 168 South. Follow U.S. 168 South over the North Carolina state line. In Barco, NC, U.S. 168 South becomes U.S. 158 . Stay on U.S. 158 to the Outer Banks, North Carolina. Take U.S. 13 South from the Chesapeake Bay Bridge Tunnel to I-64 East. Follow the signs to Chesapeake. Get off I-64 East at exit 291-B. Immediately get into the far left lane and follow the exit for U.S. 168 South. Follow U.S. 168 South over the North Carolina state line. In Barco, NC, U.S. 168 South becomes U.S. 158 . Stay on U.S. 158 to the Outer Banks, North Carolina. I-95, U.S. 64/264, go East on U.S. 64 off I-95 to Williamston, NC; North on U.S.17 to U.S. 158 at Elizabeth City, NC, then South on U.S. 158 to the Outer Banks, North Carolina. Take U.S. 158 to the Outer Banks - you will cross over the Wright Memorial Bridge. Then turn left onto Route 12 North towards Southern Shores, Duck and Corolla. Route 12 North becomes Ocean Trail. You will travel north about 23 miles, passing through the village of Duck. Our office is located 3/10 of a mile beyond the Currituck Lighthouse. Our office is on the left side of the street, 1196 Ocean Trail. 252.453.9660. Please refer to the map below to find the Corolla Classic Vacations office. The closest commercial airport is located in Norfolk, Virginia, about 2 hours from our office. Newport News/Williamsburg Airport is about 2 1/2 hours from our office. They offer non-stop flights from NYC and Boston. Richmond International Airport is about 3 1/2 hours from our office. Raleigh, NC is about 5 hours from our office. Air Services – FlightGest is the preeminent Air Charter and Aircraft Management service in the Mid-Atlantic Region. Corporate headquarters are located at Raleigh Durham International Airport with a satellite office located at the Outer Banks.